Sometimes, hurricanes can do good. 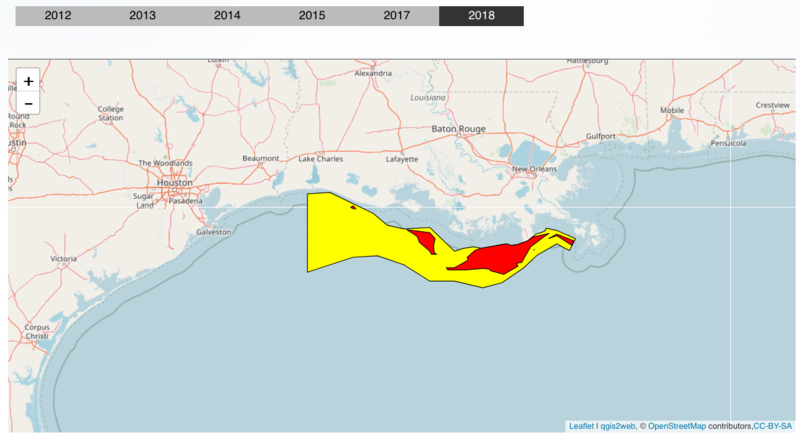 Hurricanes that roll through the Gulf of Mexico can raise oxygen levels in the “dead zone,” even if only temporarily helping the oxygen-starved areas. 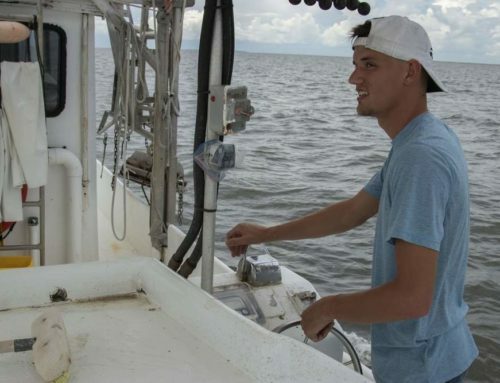 But as soon as the waters calm down, the oxygen levels go down, said Nancy Rabalais, executive director of the Louisiana Universities Marine Consortium. Her comments came Tuesday during a U.S. Environmental Protection Agency Academy Webcast about hypoxia in the Gulf. As the water settles down, the low-oxygen levels return, she said. 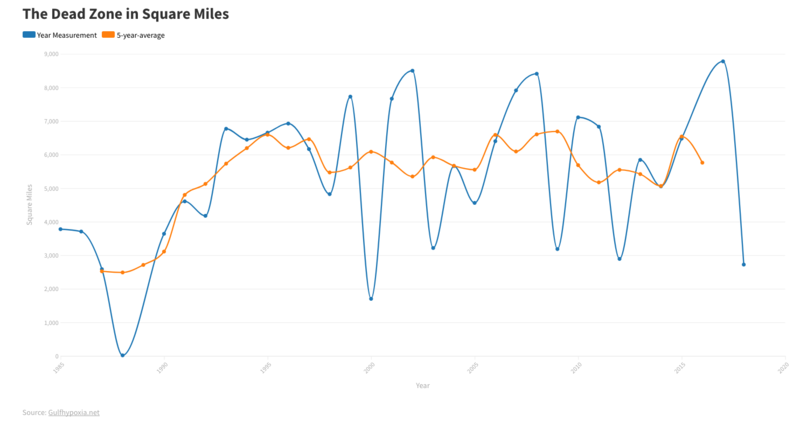 “It’s coming back down (oxygen levels) since (Hurricane) Ike,” Rabalais said. That’s likely going to be the trend until late fall, when weather fronts help keep the water levels stirred, she said. Hypoxia — commonly referred to as the dead zone — forms every summer in the Gulf of Mexico. The dead zone is an area of low oxygen of 2 parts per million or less of dissolved oxygen in the water — a level too low for many marine creatures to survive. 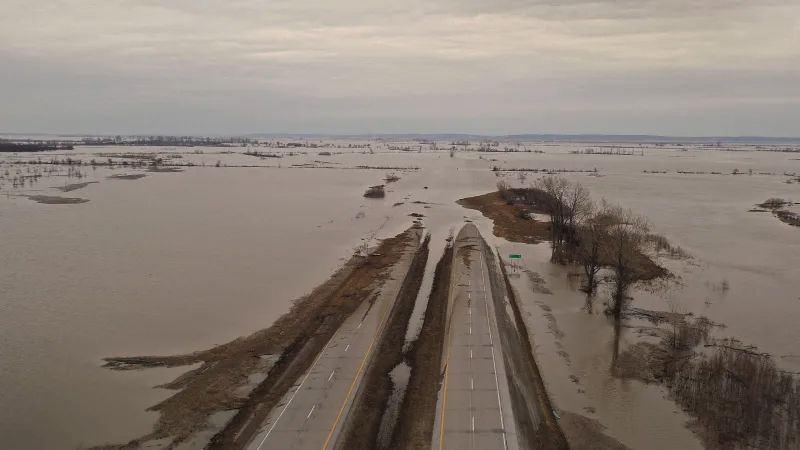 This dead zone is formed when nutrients from farm or urban runoff flow down the Mississippi River into the Gulf of Mexico. These nutrients feed microscopic organisms that use up oxygen when they die and decompose on the water bottom. During summer months, this low-oxygen bottom layer of water doesn’t get mixed with the more oxygen-rich upper layer of water. 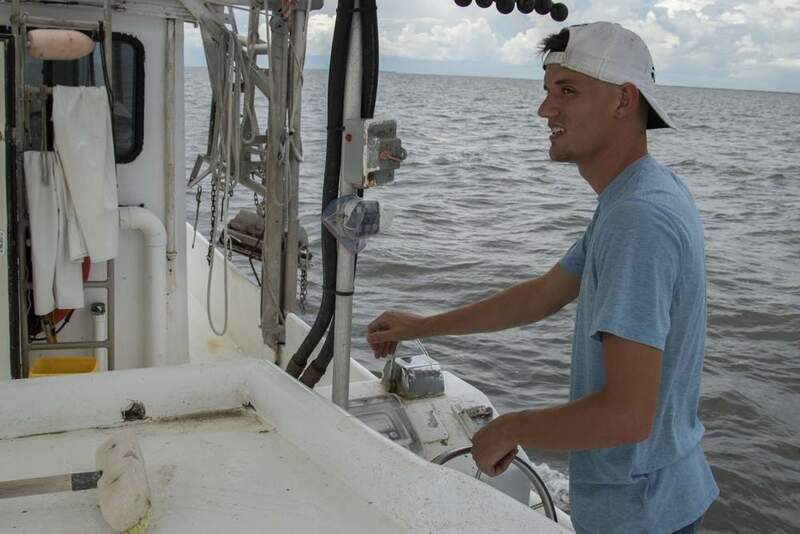 This summer, Rabalais and other scientists measured the dead zone at 8,000 square miles from July 21 through July 27. 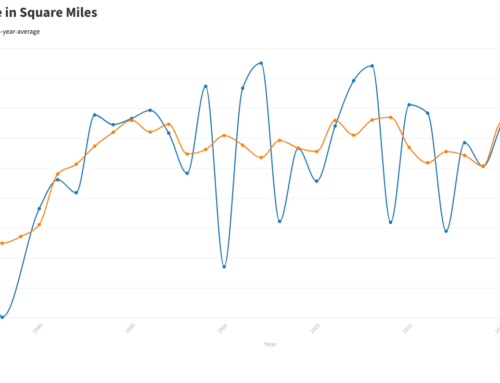 That’s the second-largest area measured since the annual dead zone surveys started in 1985. The largest size came in 2002, when the dead zone measured 8,400 square miles. 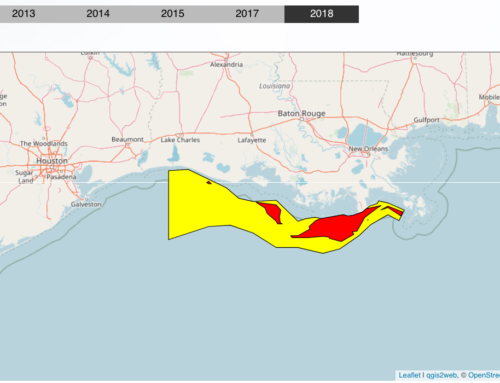 Rabalais said the annual dead zone in the Gulf of Mexico is the largest area of hypoxia in the United States, but it is just one of 400 hypoxia sites around the world. These sites have temporary effects, such as forcing fish to move out in search of more oxygen-rich waters, she said. But there are also long-term effects. The oxygen can get low enough to kill organisms in the sediments, destroying food sources for other marine life once the oxygen returns, she said. 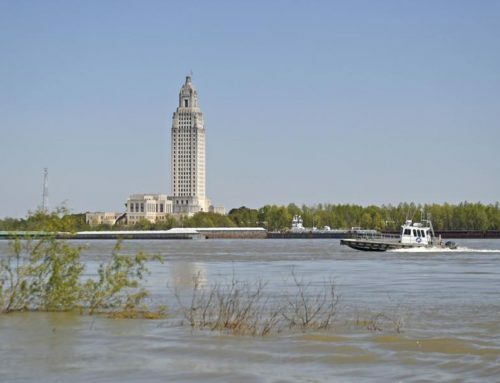 “The main driver in the formation of hypoxia is the nitrogen load in the Mississippi River,” Rabalais said. 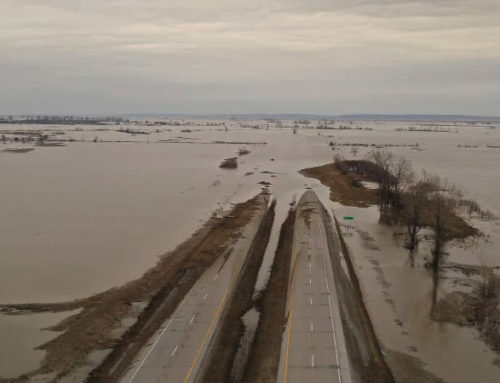 About 52 percent of this nitrogen load comes from soybean and corn agriculture upriver, according to information from EPA. Earlier this year, the national Mississippi River/Gulf of Mexico Watershed Nutrient Task Force released its 2008 Action Plan, which outlines a goal of reducing the Gulf of Mexico hypoxia area to 1,930 square miles by 2015.